Bright green fields stretched to my right and left, scattered with small wooden shacks with resting farm animals, drying clotheslines and barbed wire fences. A bright red dirt path stretched in front of me. The air was hot and extremely humid, a combined feeling of refreshing and stifling. There were no cars and no mopeds, only bikes running over the million little rocks stuck within the country road. The vivid colors, open air and bicycles were all in the Cambodian countryside I had the privilege to travel through in October. The experience taught me an important and unforgettable lesson: One of the best ways to spend time exploring a new country or city is to do so through bike riding. This entry was posted in Asia, Cambodia, Travel, Uncategorized and tagged Aisa, biking, bucket list, Bucket List Publications, Cambodia, landscape, life, photo, photography, travel, traveler, vacation by lesleycarter. Bookmark the permalink. Beautifully written… I could sense the pulse of the land through your writing. Thank you for sharing your adventure. Those palm trees and lush grass do look inviting. I’ve always considered doing a bike tour, but haven’t made the leap as yet. Great post! I biked a lot before I tore cartilage in both knees. 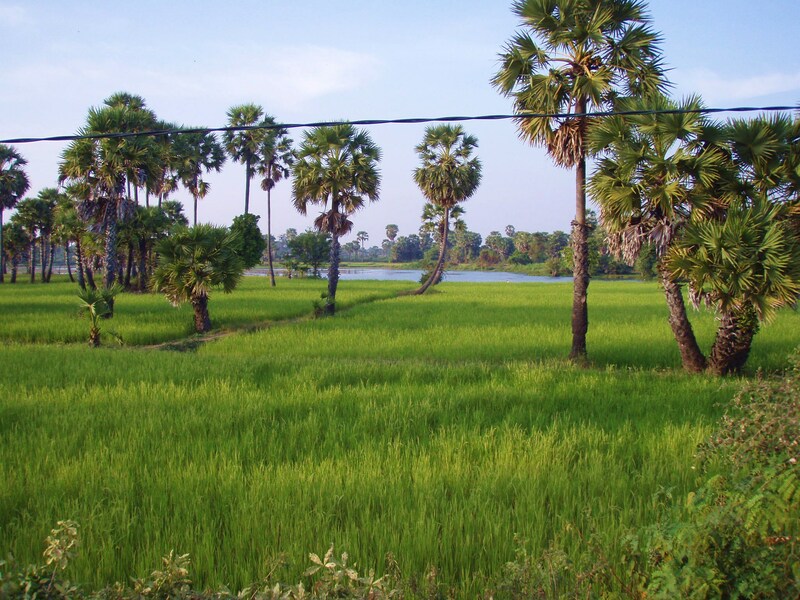 Your pictures reflect how relaxed you must’ve felt and how beautiful the countryside of Cambodia really is, as you wrote. Biking does have a feeling that allows you to bond with everything around you. Great post!